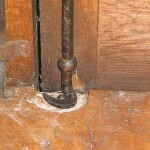 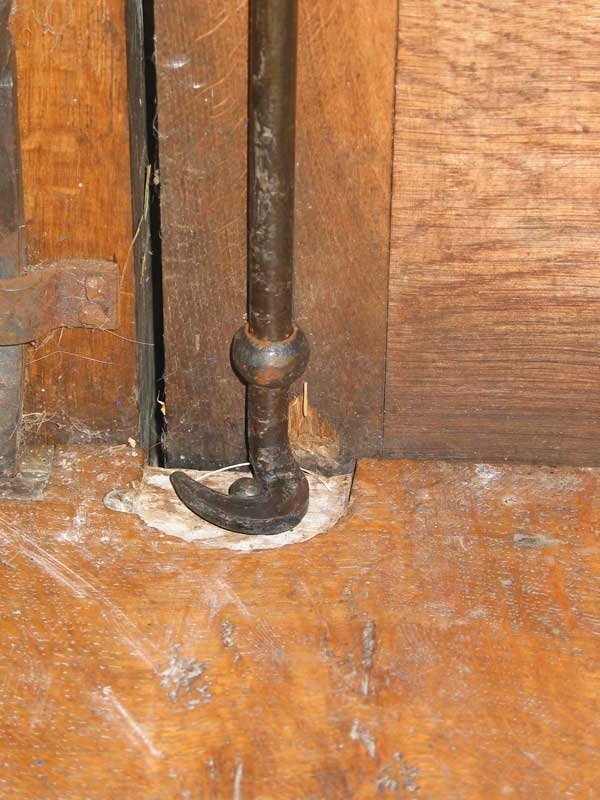 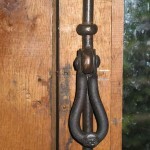 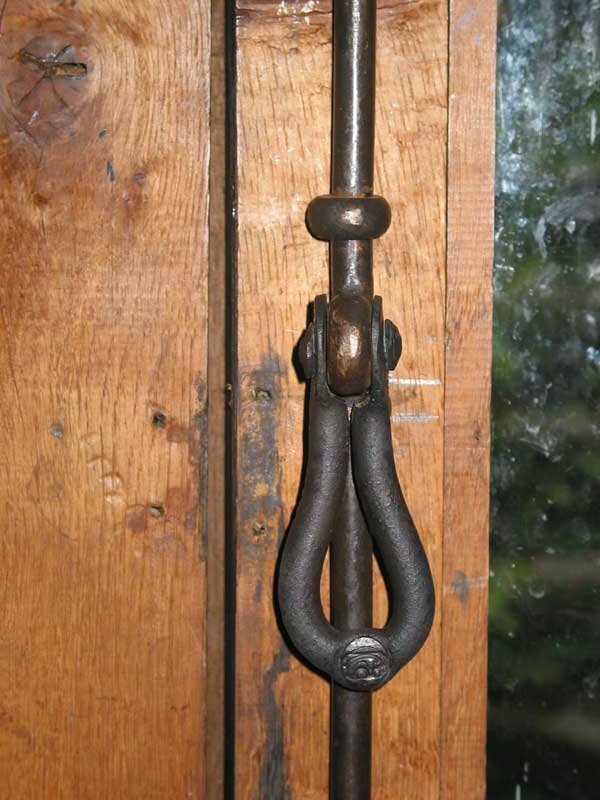 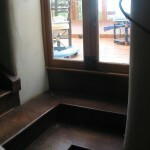 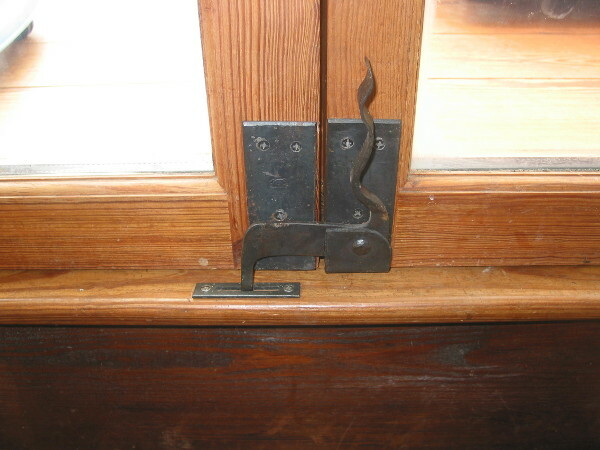 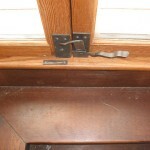 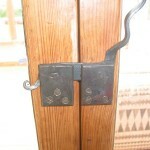 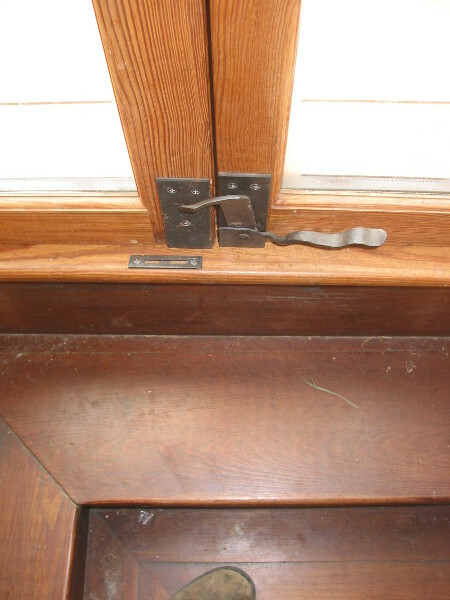 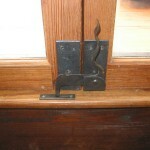 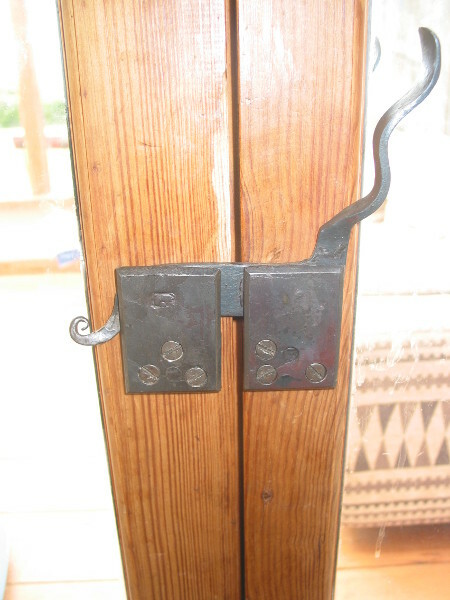 Forged espagnolette and slide bolts (used vertically) for french doors. 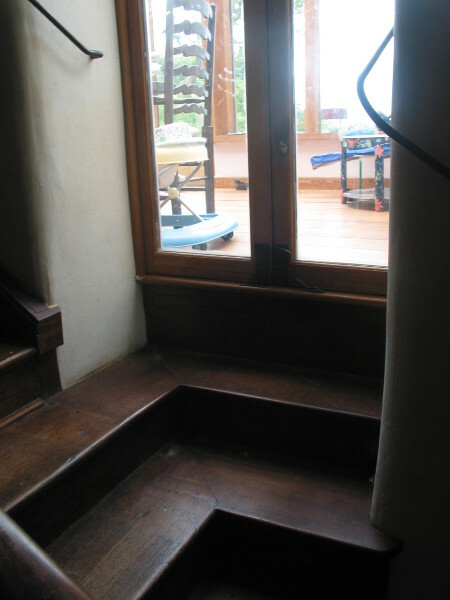 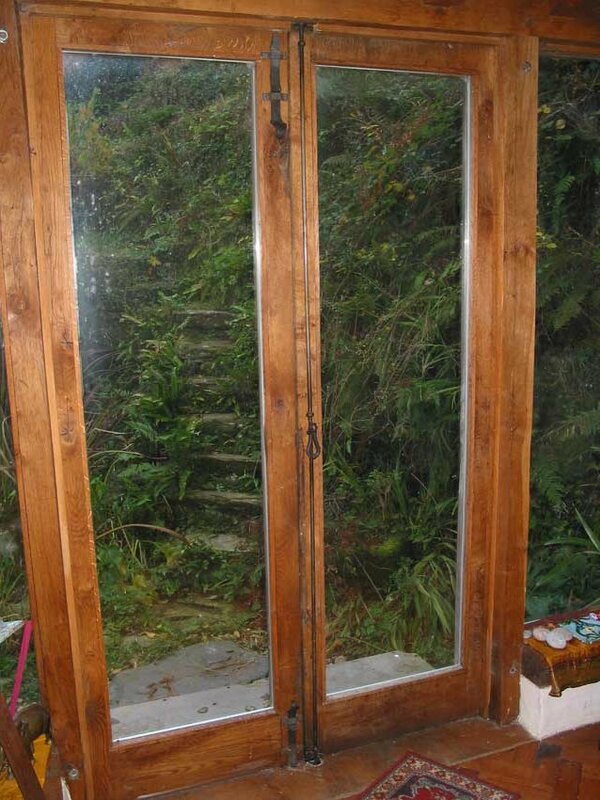 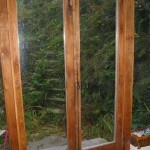 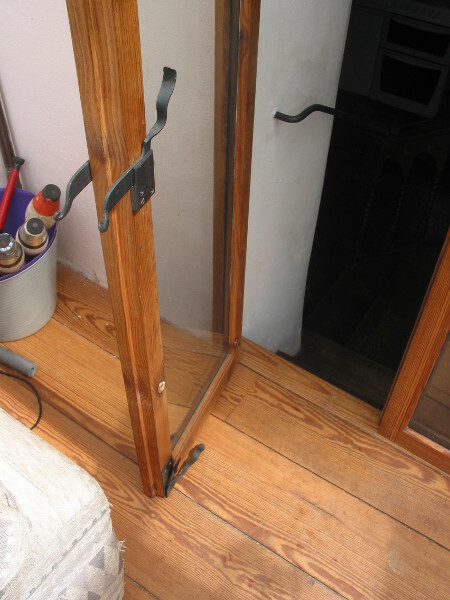 Cunning arrangement to solve the problem of warped double doors needing to be opened from both sides but at different levels as they open onto the middle reaches of a staircase…. 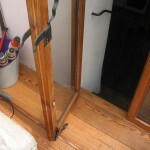 much thought – but worked well!